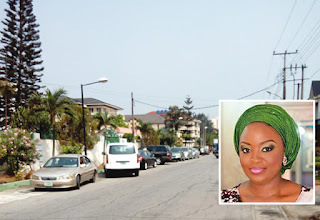 Fresh reports have emerged on the Cameroonian cook who murdered his employer, a soon-to-be bride, Dayo Adeleke, in Lagos State. Adeleke was murdered by the cook, Joel Ludgo, aka William Smith, at her home in Parkview estate area of the state on Tuesday‎, over refusal to grant his request on pay rise. The suspect, who goes by the name @william_smith1059 on Instagram, had the same day he allegedly butchered his boss, shared a video, as though celebrating the killing , before he was arrested. Upon his arrest, he was said to have made some shocking confessions and is still helping the police in investigation. The state Police Command confirmed the arrest, saying the 22-year-old man killed his boss because he was desperate to send money to his girlfriend in Cameroon. The police stated that Ludguo had vehemently requested his boss to pay part of his December salary so he could send the money to his girlfriend, which led to an altercation and the eventual killing. Ludguo lived with the victim, whose marriage was slated for early 2017. Giving updates of the report to newsmen in the state on Saturday, the Police Public Relations Officer, PPRO, Dolapo Badmos, said the suspect was still making useful confessional statements to detectives at the state Criminal Investigation and Intelligence Department, SCIID, Yaba. Badmus said the suspect would be charged with murder among other charges, upon the completion of investigation. The PPRO warned residents against employing domestic workers without properly looking at their profiles. She urged them to do a thorough background check, saying “The victim was found lying on the floor of her living room in a pool of blood. “A kitchen knife was found stuck into the left side of her chest. She was rushed to St. Nicholas Hospital on Lagos Island, where a doctor on duty confirmed her dead. “Some drug substance was found on the suspect and he has made confessional statements. “He said he wanted to send money to his girlfriend in Cameroon and that was how an argument ensued between him and the boss.